A once-powerful Mexican drug cartel leader and associate of Joaquin "El Chapo" Guzman has been sentenced to life in a U.S. prison. Alfredo Beltran Leyva, 46, was sentenced Wednesday after pleading guilty in February to charges his multibillion-dollar operation smuggled tons of cocaine and methamphetamine into the United States. Beltran Leyva led the organization from the 1990s to his indictment in 2014, as it shipped tons of cocaine from South America to the United States, prosecutors said. Authorities called him a "Goliath" of drug trafficking. A judge ordered him to forfeit more than $529 million, based on what he described as a conservative estimate of the amount of cocaine Beltran Leyva brought into the United States. The organization relied on killings, torture, kidnappings and other violence to sustain its drug trafficking operation, prosecutors said. FBI Assistant Director Stephen Richardson said the life sentence marks an end to the group's "reign of terror." The once-powerful Beltran Leyva cartel was led by Alfredo and his brothers as it grew to prominence as an arm of Guzman's Sinaloa Cartel. The Beltran Leyva group smuggled drugs and ran human trafficking operations, along with enforcement operations for the larger Sinaloa organization. That relationship soured, according to federal prosecutors, after Alfredo Beltran Leyva's 2008 arrest. 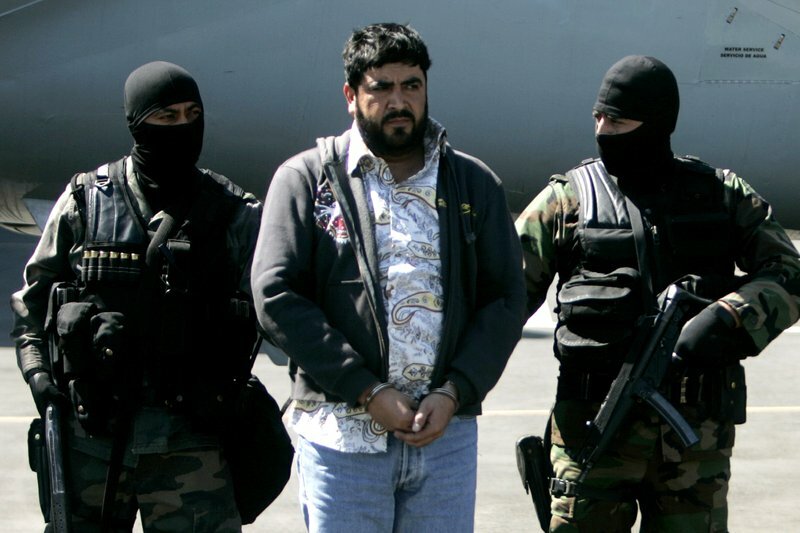 His brothers blamed Sinaloa leaders for his arrest, and the split eventually led to a bloody fight among the two groups at the same time as the Sinaloa cartel was waging a war against the Juarez cartel for control of drug and human smuggling routes in northern Mexico. The Beltran Leyva gang started to split apart in late 2009, when one brother, Arturo, who took over for Alfredo, was shot dead by Mexican marines and another brother, Carlos, was detained two weeks later. Another brother, Hector, was arrested in San Miguel de Allende. Guzman is awaiting prosecution in New York following his extradition from Mexico in January.